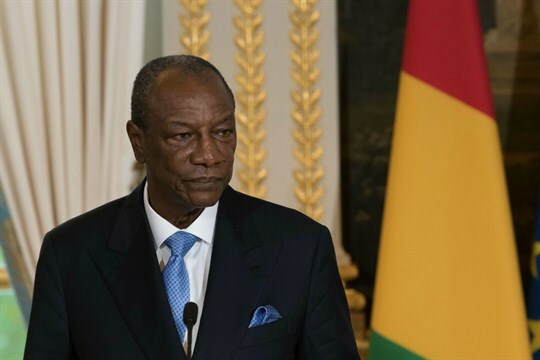 Guinean President Alpha Conde during a press conference at the Elysee Palace, Paris, France, Nov. 22, 2017 (Photo by Jacques Witt for Sipa via AP Images). Late last month, officials in the West African nation of Guinea announced that policing in the capital, Conakry, would be undergoing some changes. Specifically, they said soldiers would be deployed alongside police officers and gendarmes as part of new mixed patrols. The inauguration of these patrols, they said, was a necessary response to weeks of violent, sometimes fatal protests over issues ranging from low teacher pay to suspected election fraud.